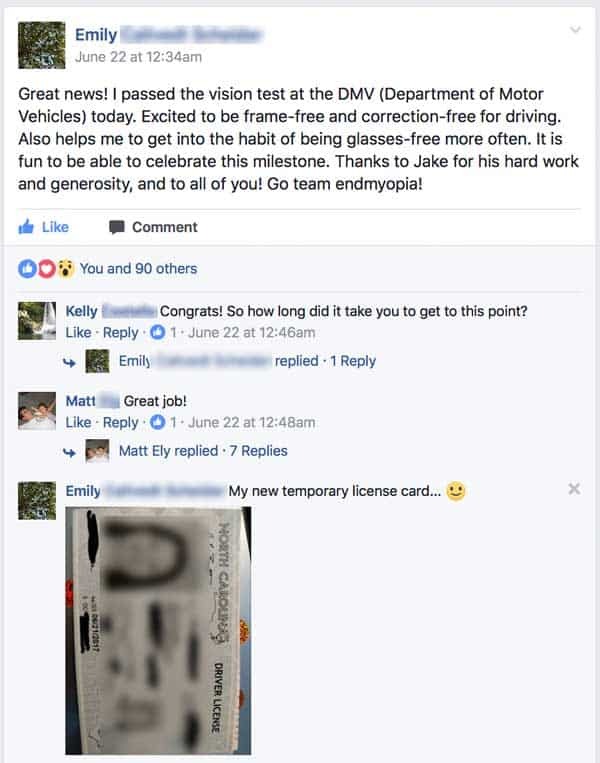 People ask, every so often … Jake, do any your students actually get all the way back to 20/20? They realize that they read hundreds of improvement reports, diopter after diopter, but the full 20/20 stories are comparatively few and far between. So it’s fair to wonder, at first glance. 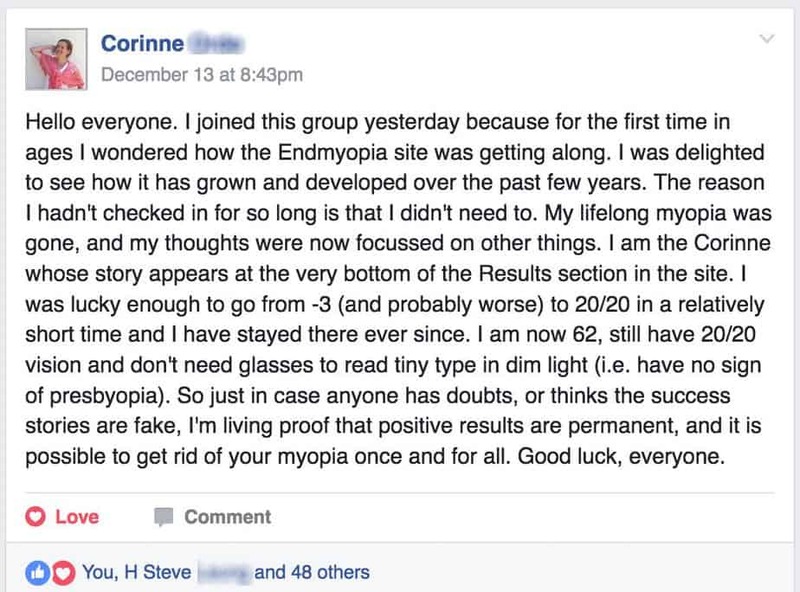 Does endmyopia just offer some vision improvement, based on the general nature of reports from students? The biggest piece to consider is exactly this. Most myopes start with multiple diopters of myopia. 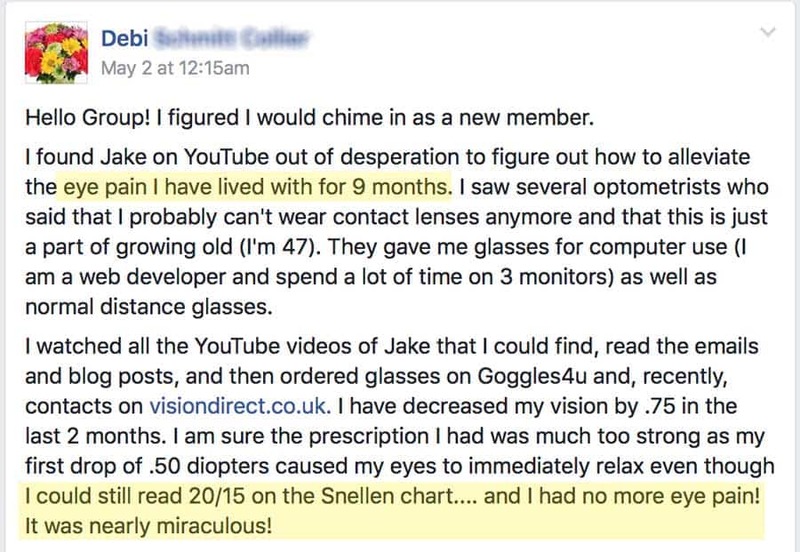 On average initial improvement can be as high as a whole diopter in 90 days (for some), and after that the average myope improves at a rate of about 0.75 diopters per year (some faster, but that’s another story). So when we’re dealing with three, four, or ten diopters of myopia, years will pass before the 20/20 report. The student may report dozens of improvements (all of which are awesome milestones), before we ever hear about an actual 20/20 result. 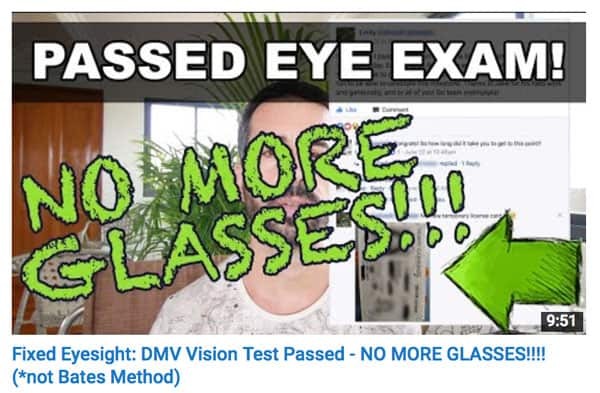 And technically you only need 20/40 vision to pass the DMV test! 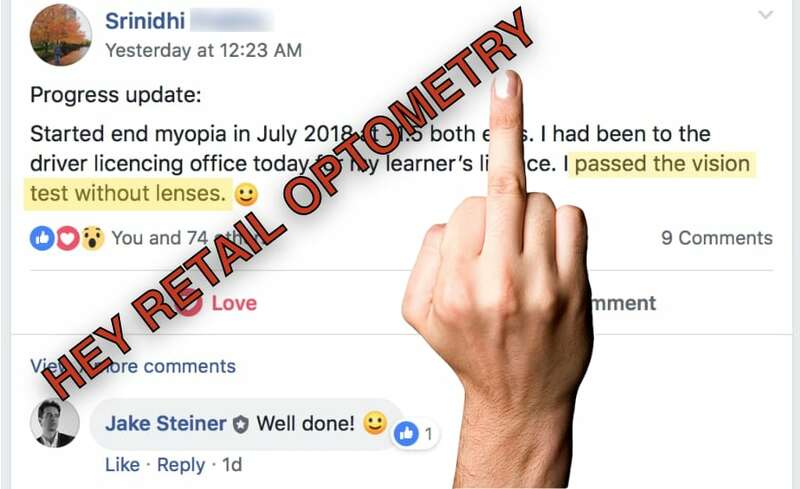 There’s also the fact that for every hundred readers who use the endmyopia method, only one to two on average offer feedback or improvement reports, even if they are making great 20/20 gains. People tend to not speak up when they’re happy (compared to complaining when they’re not). I get about 400 e-mails per day, but the site alone gets over 10.000 sessions in that same period. 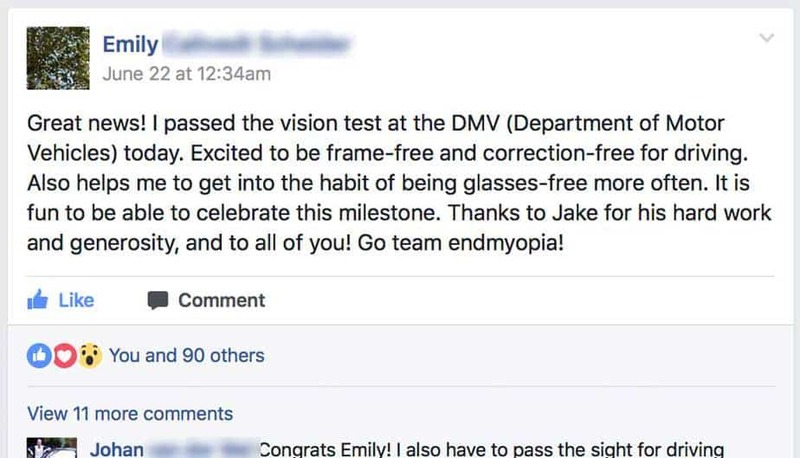 And then there’s Facebook, YouTube, Quora, and many more people using endmyopia without necessarily coming to visit often. All that makes the full 20/20 stories obviously infrequent, but even more awesome when we get them. Also important not to only think about the 20/20 milestone. At -2 diopters you can do close-up without any correction – that’s a big milestone. 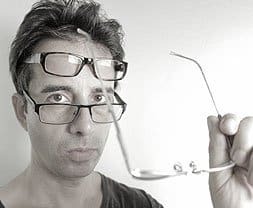 At -3 diopters you can find your glasses without your glasses (big one for me, I used to misplace my glasses and then not be able to find them). At -4 diopters you have notably less distortion and a larger image than with higher myopia. With every lowered diopter you significantly reduce the risk of lattice degeneration, retinal detachment, and many other serious conditions. Etc, etc, every diopter counts! You get the point. 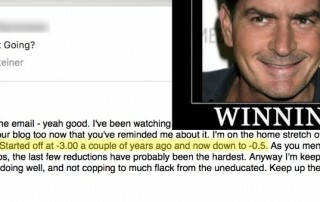 Don’t stand at the foot of the mountain, whining about how far away the top looks. Every diopter is a big step in the right direction. 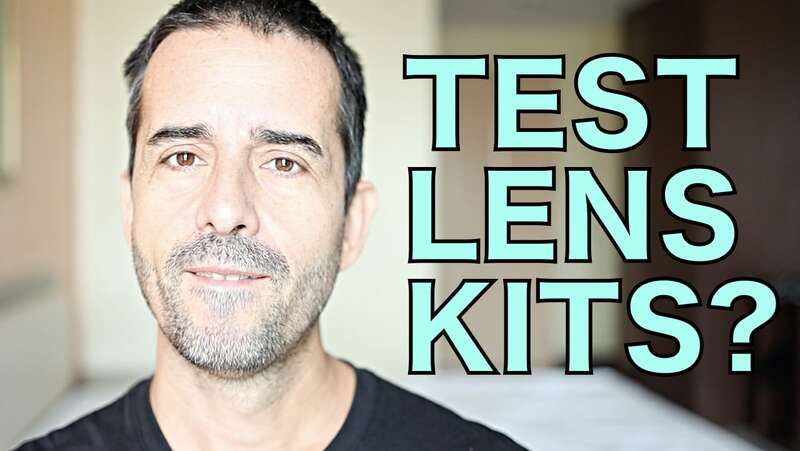 And lastly, the most important thing is that if you can get that first diopter, you can get all of them. The biology of the eye is designed to always be seeking emmetropia. Once you have proven to yourself that this is the case, and that you’ve figured out the strain/stimulus balance, 20/20 has just become a definitely achievable reality. That’s it. 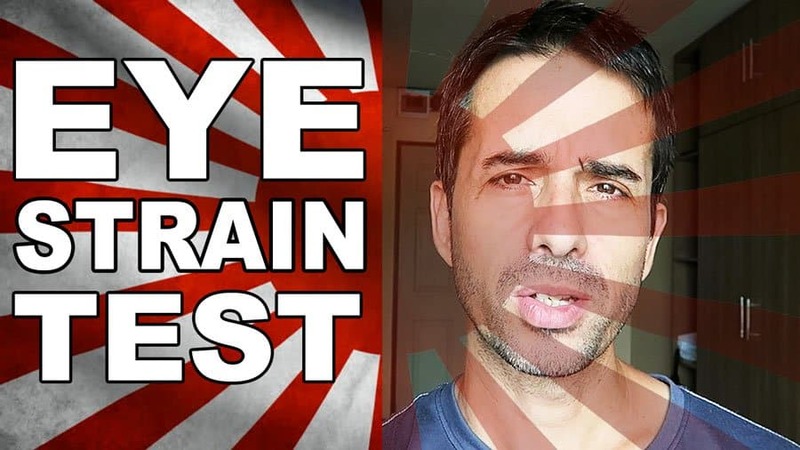 Go forth, bring back all the stories of ye 20/20 gains.